Written by Regina Sanders. Media by Kayla Morton. 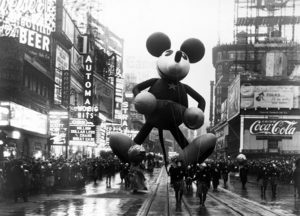 In 1924, the world witnessed the first of what would become the annual Macy’s Thanksgiving Day Parade. Although it took a hiatus for World War II, the parade has been a holiday staple. And, in 1946, it entered American homes, being televised for the first time. 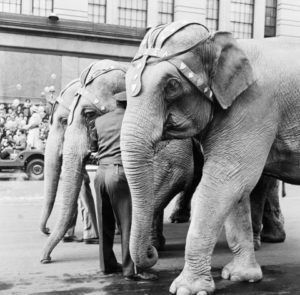 It all began when Macy’s employees asked to put on a parade. They were hoping to celebrate life in America since they had recently immigrated. From 1924 to 1926, live animals from the Central Park Zoo participated in the festivities, until the realization that children were frightened by the animals. But what to replace the retired elephants and tigers with? Balloons on sticks were introduced, soon to be replaced with balloons filled with helium. One exciting attraction many viewers must look forward to is watching for iconic balloons and floats. Snoopy, created by Charles M. Schulz, is the companion of Charlie Brown. He has appeared 39 times in the festivities, the most out of any other character. He has appeared as aviator Snoopy, a skating Snoopy, and with Woodstock (his best bird friend). 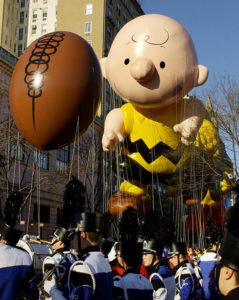 Snoopy has also been featured on floats along with the Peanuts gang. Another iconic balloon is Disney’s Mickey Mouse. First appearing in 1934, Mickey has brought delight to many viewers and played the role of bandleader Mickey and sailor Mickey. The parade has also hosted crowd favorites like the Elf of the Shelf, Pikachu, and SpongeBob. 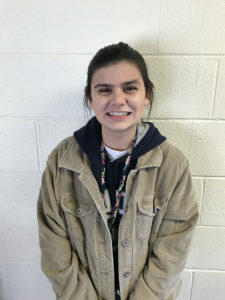 Greenville University student Shelby Farthing had the honor of attending last year’s parade. For Thanksgiving break, Farthing and a few friends decided to visit Philadelphia. Since New York City was only about two hours away, and she’d always wanted to visit, Farthing decided to attend the parade. “It was single-handedly the most crowded thing I’ve experienced in my life,” she remarked about the crowd size (in 2016, 3.5 million spectators were expected). Farthing stated that her favorite balloon and performer were Garfield and Grace VanderWaal, respectively. But, regarding her favorite moment, she explained how they had left the parade early and walked down Fifth Avenue while it was empty. Being able to see the stores and sites without people was breathtaking. Kristin Knudsen celebrates both the Canadian and American Thanksgivings. For her, the parade is a staple to watch. Her favorite float is Toothless, the Night Fury from Dreamworks’ “How to Train Your Dragon” (introduced in 2013). But the festivities are personal for Knudsen. She’s known individuals who have performed in the parade as dancers on the floats and she’s known a performer in one of the various bands. You can watch this year’s parade on your local NBC channel. The program will air Thanksgiving Day (November 23, 2017) from 9 a.m. to noon. Some balloons to be featured in this year’s march include Ronald McDonald, Pikachu, the Pillsbury Doughboy, Charlie Brown, the Grinch, and Olaf (from Disney’s “Frozen”). Some floats include the Winter Wonderland float and the Big Apple float. Performance groups include Camp Broadway, Spirit of America Cheer, and Spirit of America Dance Stars. And, lastly, stick around to see performances by Leslie Odom Jr., Wyclef Jean, Smokey Robinson, Dustin Lynch, and 98 Degrees. 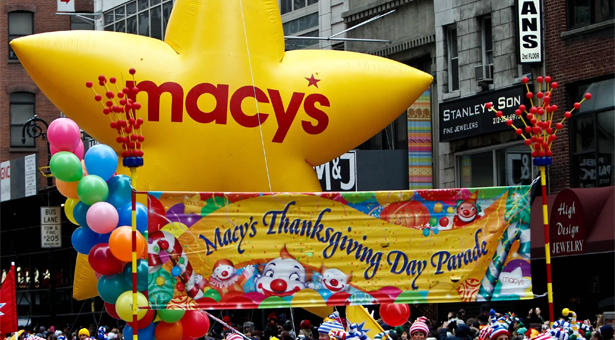 Follow Macy’s official Twitter or go here for more parade updates!